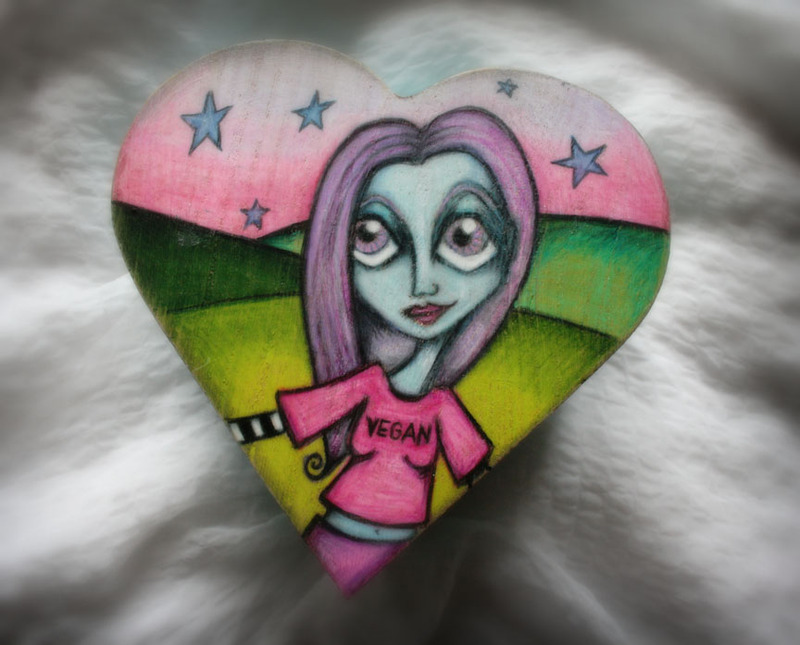 The Dark Faerie: Vegan Heart Box....perhaps for your favorite vegan valentine! Vegan Heart Box....perhaps for your favorite vegan valentine! 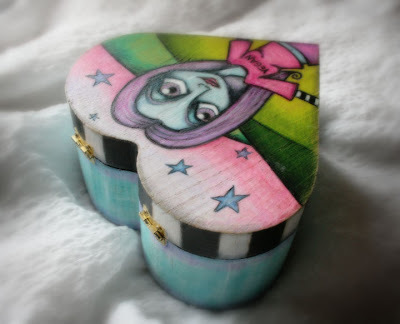 Slowly trying to get caught up and once again failing to post on my blog as often as I would like. 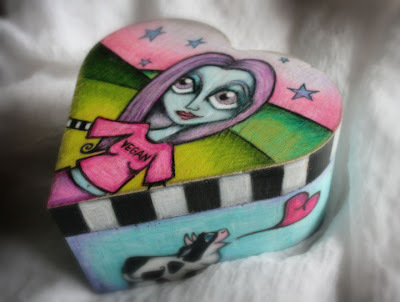 Taking a few minutes, while my 3 year old is occupied with her watercolurs, to post my latest piece. 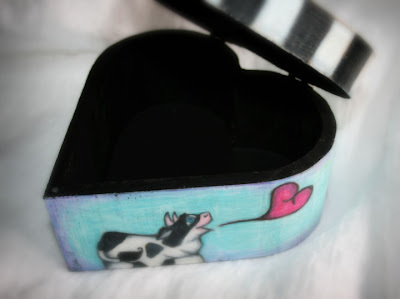 This is just a little box I wanted to do as a fun little piece in between commissioned pieces (not that they aren't also fun...just different :) I featured my favorite little cow along with a lovely vegan girl...it makes quite a lovely little keepsake box to store all of your favorite treasures!